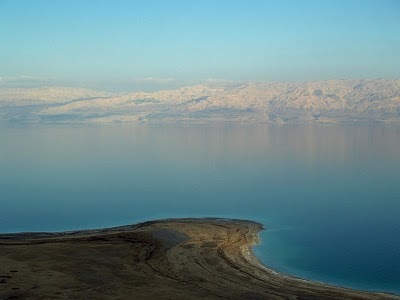 The Dead Sea is a very salty sea that lies between Israel and Jordan. It has a saltiness of 33,7%, which means that it is very easy to float in the water. One can almost walk. The salt comes from the low surface of the water. The surface of the sea is 423 meters below the sea limit. Thus, the only way for the water to get out is in the form of vapor, leaving the salt behind.